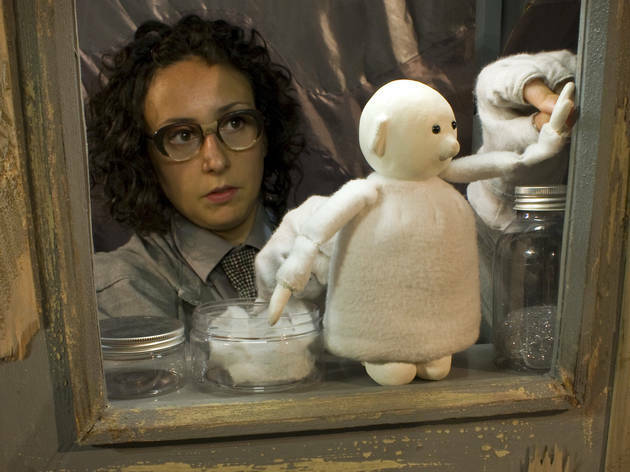 Join Cloudia on her quest to track down the elusive cloud man, a rare creature that lives up in the sky, in this kids' show from puppet-maker Ailie Cohen, performed by Jen Edgar. Ages 4-7. Very quirky and beautiful show! Our kids (5 and 6) loved it - and so did we. 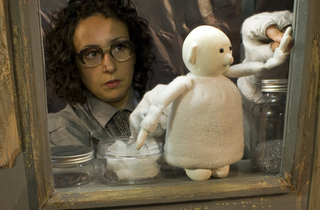 Cloudia tells the story of her fascination with clouds and her search for cloud men. Once she finally gets to meet one, there is a bit of a dip in the storyline and the ending is a bit sudden. However, these are minor criticisms. I highly recommend the show!